SYNOPSIS: Odd comedy update of the Faust legend. Mental patient Sir Richard Burton (aka "Hammersmith") promises orderly Beau Bridges untold wealth if only he release him from a padded cell. Elizabeth Taylor ends up along for the ride. One of the weirdest films from hollywood's once favorite couple. 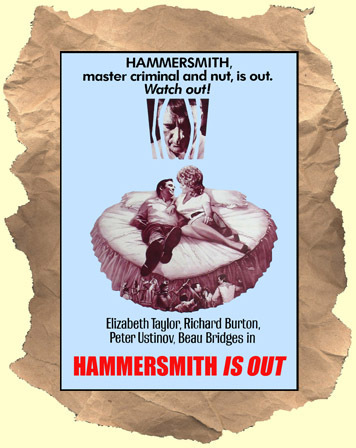 Actor Ustinov steps behind the camera to both direct and act in this cult film rarity. Recommended!